Jamba Juice announced today that they're adding food "real food" to their menu. 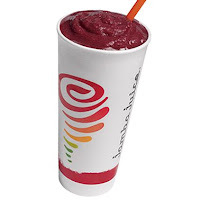 Previously, the only food Jamba Juice offered was oatmeal, aside from snack bars and nut mixes in some locations. 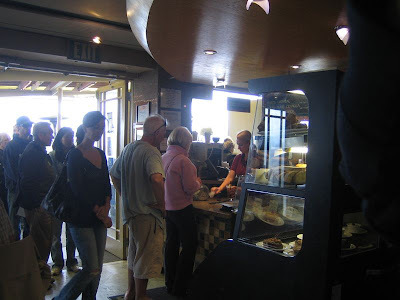 The new food menu will open up Monday, June 15, 2009, throughout California locations, and eventually make its way across the USA over the summer. Joe's Crab Shack announced this week a line of menu items for the summer at all 113 locations nationwide. The line focuses around four new "Coastal Steampots", offering buckets of crab, shrimp and lobster representing all the coastal regions and their celebrated flavors. Sunset Fire-grilled Steampot – Dungeness and Snow crab, shrimp, sausage, corn and potatoes, beachside bar-b-que style. The Orleans Steampot – Crawfish, shrimp, andouille sausage, corn and potatoes cooked in Joe's spicy boil. Bean Town Bake – Two whole lobsters, clams, shrimp, sausage, corn and potatoes. Joe's Steampot – Tasty Dungeness and Snow crab, boiled shrimp, smoked sausage, potatoes and corn. Crab in a Bucket – Adding new flavors to a traditional favorite, the Crab in a Bucket selections now include Fire-grilled and Smoked Chile offerings. Crab Cake Chipotle Caesar – As part of the Go Green line of salads, this yummy dish features Romaine lettuce, topped with one of Joe’s made-from-scratch lump crab cakes, black bean pico de gallo, tortilla strips and Chipotle Caesar dressing. Old Bay Steampot – Alaskan Snow crab, clams, corn, potatoes and sausage, flavored all the way with Old Bay seasoning. The Long Islander – Mussels, clams, shrimp, plus sausage, corn and potatoes. Additionally, Joe's will be offering larger portions of its desserts, including the Crabby Apple Crumble, and the Coco Bread Pudding. 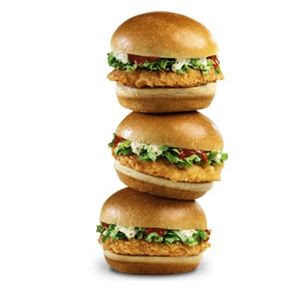 Jack in the Box announced this week the launch of their Mini Buffalo Ranch Chicken Sandwiches. It's an expansion to their Mini Sirloin Burgers, which according to the company, has proven popular. The new sandwiches come with homestyle chicken fillets topped with Frank’s RedHot sauce, ranch sauce and shredded lettuce on toasted mini buns. The Mini Buffalo Ranch Chicken Sandwiches are available now for the suggested price, excluding tax, of $3.89 for three sandwiches at all participating Jack in the Box restaurants. 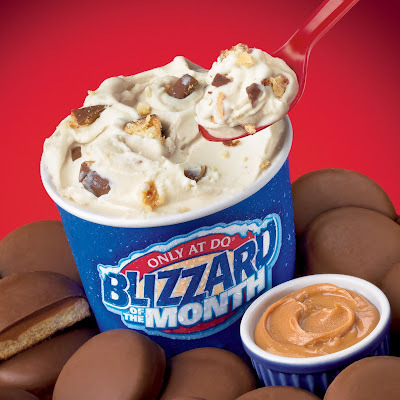 Dairy Queen announced today the launch of a new Blizzard flavor, "Girl Scouts Tagalongs Peanut Butter Patties", and made it the Blizzard of the Month for July. One of the most popular Girl Scout cookies, Tagalongs, also known as Peanut Butter Patties, are crispy cookies layered with peanut butter and covered with a chocolate coating. Dairy Queen breaks these into pieces and mixes it with creamy vanilla soft serve. This marks the second year that Dairy Queen is partnering with Girl Scouts of the USA, which last year culminated with the debut of the Girl Scouts Thin Mint Cookie Blizzard, which I mentioned here on JFB. Last summer, Dairy Queen served more than 10 million of those Thin Mint Blizzards, making it the most popular limited time Blizzard flavor ever. Hence why DQ is riding the girl scouts for a second straight year. The average price of the Girl Scouts Tagalongs Peanut Butter Patties Blizzard and the Thin Mint Cookie Blizzard is $3.09 for the 12 oz., $3.49 for the 16 oz. and $3.99 for the 21 oz. Turkey & Bacon Smokecheezy - smoked turkey breast, smoked cheddar cheese, crispy bacon strips and fresh lettuce, tomatoes and red onions, topped off with tangy chipotle mayonnaise on sourdough. Ribeye Steak & Bacon Smokecheezy - strips of Angus ribeye steak, smoked cheddar cheese and crispy bacon strips, finished with tangy chipotle mayonnaise and roasted red bell peppers, on sourdough. Chicken & Bacon Smokecheezy - shaved chicken breast, smoked cheddar cheese, crispy bacon strips, and fresh lettuce, tomatoes and red onions, blended with tangy chipotle mayonnaise and served on sourdough. The sandwiches are available for a limited time beginning now until August 30. 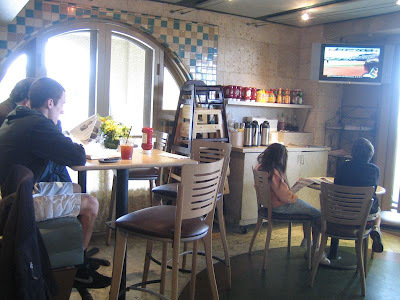 Pacifica Breeze Cafe is a trendy cafe in downtown Del Mar, CA, located right on the Coast Highway, with a great outdoor patio that overlooks the Pacific Ocean. Last weekend on a Sunday, Lisa and I rode the motorcycle down to that area just to find some restaurant or cafe we never been to. 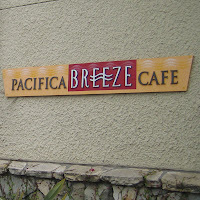 And hence, we found Pacifica Breeze Cafe. We got there around 11:15am, still technically the breakfast hour I suppose. I had the Sunday paper in hand, and looked forward to breakfast, coffee, and a read. You'll want to sit in the outdoor patio, but it seems that locals have this all figured out. You task the wife with securing a table, while sending the husband in to order all the food. It's not a traditional restaurant where you get seated, and a waitress takes your order. Rather, you walk up to a counter, and order. But they do deliver the food to your table. We made the mistake of both of us ordering at the window, and then discovering the two open tables we spotted earlier were snatched up as described above. So we just ate inside. The coffee is self-serve. They give you three different roasts to choose from, and these large sized cups. 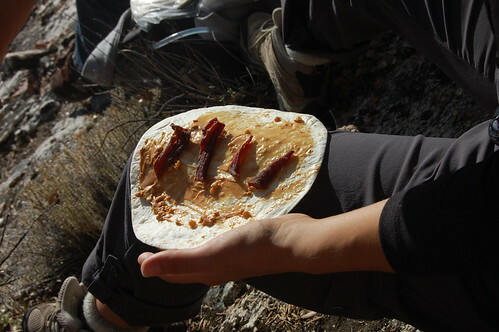 I had the breakfast burrito, pictured below. 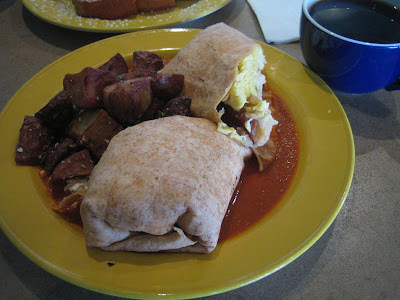 It's packed with pinto beans, scrambled eggs, bacon and pepper jack cheese, swimming in a red tomato sauce, mildly spiced, with country style potatoes. 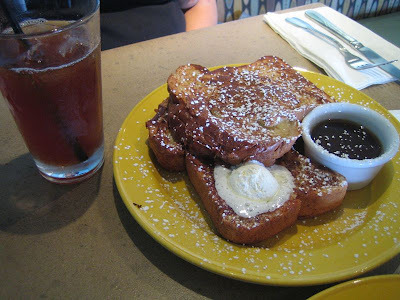 Lisa had the french toast, which comes with two slices of bread, but very thick slices. Pacifica Breeze Cafe does lunch and dinner, and from the reviews I read, they churn out some pretty killer meals, quite posh from the looks of it. You wouldn't associate the words "junk food" with a place like this, but then again, we're still talking about breakfast burrito and french toast here. A rose by any other name, smells just as sweet as they say. Had one of these cookies today at California Tea & Coffee in Temecula, CA. These are touted as vegan cookies. I guess that means it has no egg ingredient. This has chocolate chips. So I suppose it's some kind of milk free chocolate. It's good. It's very sweet and has a buttery body to it, even though it's all non-dairy. But it still has a funny taste in the background. I'll stick to "real" cookies, but these are pretty good. 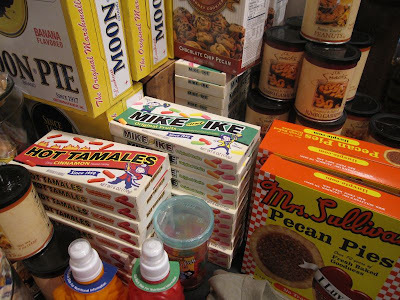 The cool thing about the Internet is that it lets us city-slicker geek types gain access to junk food found exclusively in the rural areas of America's back country. That is, if someone in the rural area of America's back country is set up for e-commerce. Riteway Meat Company is one such entity. Basically a butcher shop serving local ranchers and hunters in the small town of Dundee, OR. 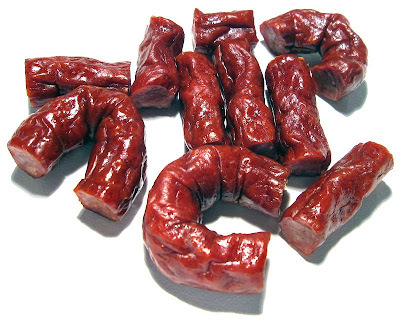 They sell beef jerky and other meat snacks though their website. Junk foodies like me living in the suburbia of Southern California can now enjoy processed meat munchies the way real, honest-to-God, down to earth folks make it, without having to drive a thousand miles to get there. 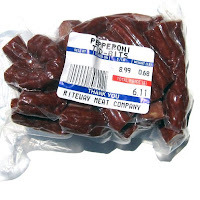 Actually, I didn't buy these Pepperoni Tid-Bits. They sent it to me for free, after I ordered a few packages of their beef jerky. I didn't tell them that I publish food blogs, so maybe they're just really hospitable, friendly, country folks. Anyways, I figured I had to return the favor by giving them some free pub here on JFB. These do have the flavor of pepperoni, but a little more mild than what I'm accustomed to getting from atop of pizza or italian sub sandwich. They're quite flavorful, rather salty, and smoky. They don't have any of the papery chewing texture that a Slim Jim has, but rather quite sausage-like. These "tid-bits" are named such because Riteway sells a longer variety, at 5 feet in length. You actually buy it that long. So I'm guessing these tid-bits are like the ends they chop off after measuring out 5 feet of meat rope. 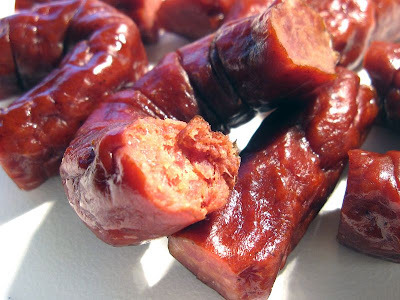 The size and shape of these Pepperoni Tid-Bits are quite comparable to a package of Little Smokies, except these are a little more stiff. I think they'd still do quite well simmering in a Crock Pot of BBQ sauce, or cooking in a pan of beans. Riteway prices a package of tid-bits at $8.99 a pound. The package depicted above weighed 0.68 pounds, for a price of $6.11. I recommend a lightly flavored pale ale, or a cream ale, to go with these. Jamba Juice announced today the national rollout of a limited time only seasonal smoothie, the "Blackberry Bliss". The new flavor is part of Jamba Juice's summer promotion, "Summer Bliss". 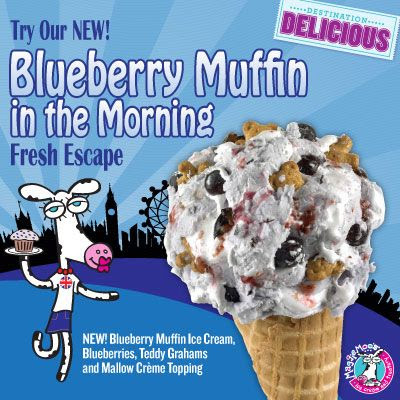 It's made with whole fruit including blackberries, blueberries and strawberries. With the Summer Bliss promotion, customers can earn coupons and prizes by uploading a photo of their faces to Jamba Juice's new website, and paste the photos over action scenes. Chick-fil-A announced today that it is adding a new peach flavor to its line of Hand-Spun Milkshakes for the summer. The Peach Milkshake will be offered as a limited-time flavor from June 1 through Aug. 22 at the chain's mall and stand-alone restaurants nationwide. The new peach flavor is made with real peaches and is hand-spun with Chick-fil-A's "Icedream", and topped with light whipped cream and a maraschino cherry. It's fitting enough the company come out with a peach flavored shake, being Chick-fil-A is based in Georgia, the "Peach State". 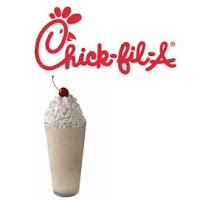 Coinciding with the Peach Milkshake rollout, Chick-fil-A will also introduce a smaller milkshake option that will remain on the menu permanently. Chick-fil-A Milkshakes will be offered in 14 oz. or 20 oz. cups and priced at $2.49 and $2.89, respectively (at most locations). Since Chick-fil-A first introduced its line of Hand-Spun Milkshakes in May 2006, the desserts have proved to be one of the most popular products on the menu. Building upon its increasing milkshake momentum, the chain has added limited-time flavors to its milkshake menu annually. Chick-fil-A offered a Mint Cookies and Cream Milkshake in 2007, followed by a Coffee Caramel Milkshake last spring and a Peppermint Chocolate Chip Milkshake during the holidays last year. Cool Turkey Caesar: lettuce, diced tomatoes, peppercorn Caesar dressing and a blend of cheeses paired with oven-roasted turkey and creamy mozzarella cheese. Crisp Turkey Bacon Swiss: lettuce, diced tomatoes and creamy ranch dressing paired with oven-roasted turkey, smoked bacon and creamy Swiss cheese. The two new sandwiches are part of Quiznos' "SummerTastes" promotion, which are designed to offer cool, crisp, fresh, sandwiches to combat the hot, sweltering heat of the lunch hour. The new subs start at $4.39 for a small, $5.39 for a regular and $6.89 for a large. 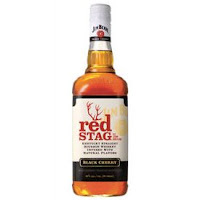 The makers of Jim Beam Kentucky Bourbon announced a new variant called "Red Stag", basically the same bourbon they've always made, except with a touch of black cherry flavor. It's not a liqueur, it's not cough syrup, but actual straight 80 proof bourbon, just like what you might take a shot of, or mix with with Coke. 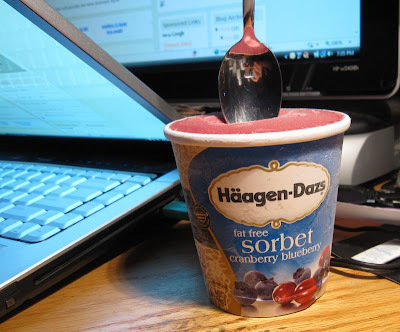 Except it has some fruity flavor to it. Through a unique infusion process, they introduce natural black cherry flavor to their four-year-old Jim Beam Bourbon. The tasting notes are said to be distinctively fruity, without disguising the familiar scent of Jim Beam Bourbon. Red Stag is said to go on sale to the public in June 2009. My best guess on why Jim Beam would market straight kentucky bourbon with a fruit flavor is to go after a younger consumer base, or better yet, women. 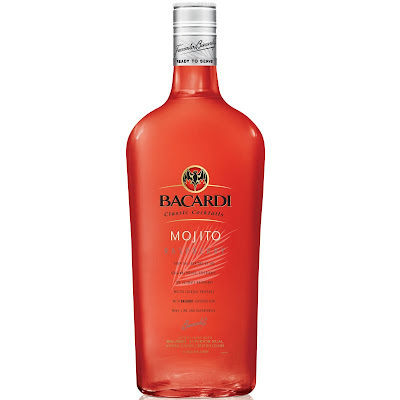 Women seem to love alcohol with some kind of fruitiness to it. In fact, the marketing materials that Jim Beam is developing for Red Stag depicts 20-something year old women, partying up. Next month they'll launch a media campaign with Kid Rock. The bottle will continue to have the "Jim Beam" name, and will look very similar to a Jim Beam bottle, with its square shape, and familiar white logoed cap. Red Stag is a way to extent brand familiarity to a young hip consumer, until one day that consumer becomes old and fat and is ready for the real thing. Read a taste review at Liquor Snob. 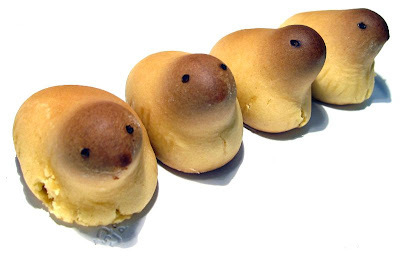 Before there were marshmallow peeps, there was "hiyoko". It's a traditional japanese confection, usually presented in a pastry, such as this. This is filled with a sweet lima bean paste, and surrounded in a pastry bun shaped like a baby chick. 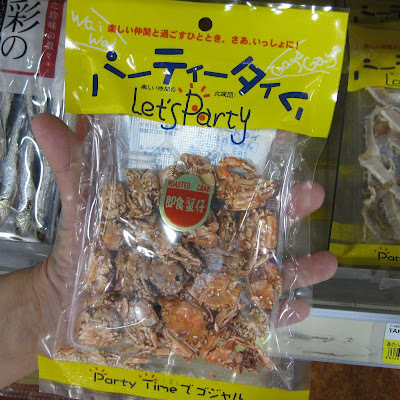 But they can also come in other types of confection, candy, cookie, chocolate, etc. 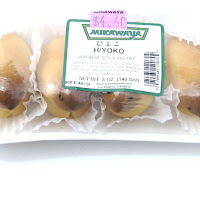 Hiyoko has been around for generations, invented by a pastry maker in 1912. It's a reflection of Japan's love affair with nature, finding grace in simplicity, and anything that's cute. That itself (minus the cute part) stems further from Japan's national religion, Shinto Buddhism. 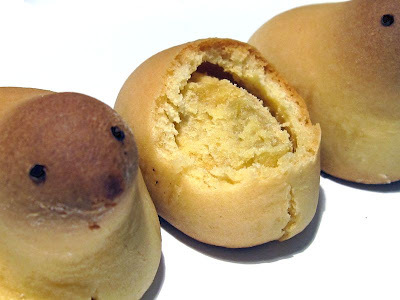 The pastry bun itself has a sweet flavor, similar to that of King's Hawaiian Bread, but not as soft. This is a little more dry. The sweet lima bean paste inside is eerily similar to that of an egg yolk, in terms of color and consistency, which is interesting considering the baby chick theme. It's just sweet tasting, and tastes nothing like an egg yolk. This paste, however, does include egg yolk as an ingredient. I've had these before while growing up as a kid, but it's been years since the last time I've had one of these. I think these would actually be tastier with a cream filling, like custard or something. I bought this at the Mitsuwa Market in San Diego, but I'm sure you can find these at any Mitsuwa Market, and at most Japanese food stores, if not this particular brand, but others too. 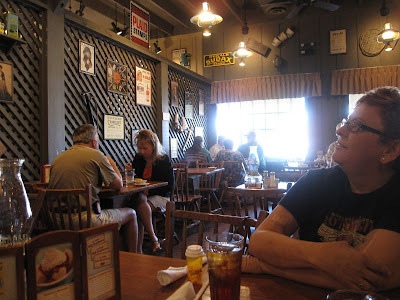 Last weekend, while my wife and I drove home from a trip to the Grand Canyon, we stopped at a Cracker Barrel restaurant in Kingman, AZ. 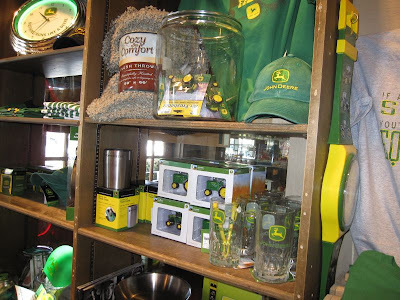 The Cracker Barrel is a chain of restaurants that serve the usual Americana fare of breakfasts, burgers, steaks, pretty much what you might expect to find at any family-style restaurant. But they have a "country store" that sells candies, books, clothing, knick-knacks, toys, resembling something you might expect to find on an episode of the Andy Griffith show. 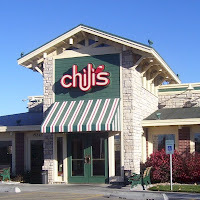 They're also known for selling wooden rocking chairs that sit on display outside the restaurant on the front patio. But it's mostly their restaurant that attracts locals. 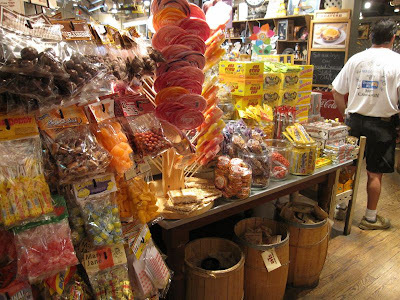 Cracker Barrel started in 1969 with a location in Tennessee, built around an "old country store" theme where travelers could get "home style" cooking, where kids could get some candy, and moms could shop for souvenirs. And then it just spread from there. 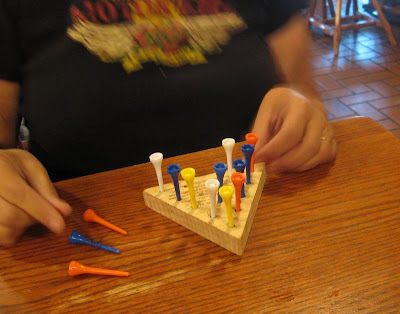 You typically find Cracker Barrel restaurants in towns where folks still hold on to "core values", where NASCAR is always on the front page, and where people still cling to their guns and their religion. 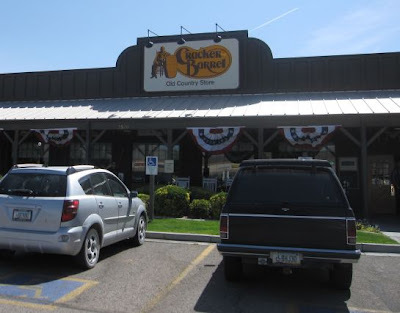 We don't have Cracker Barrel restaurants in California, but yet the chain claims to have locations in 41 states. 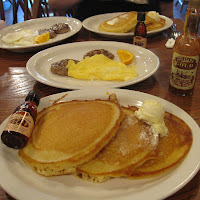 Make a point to visit a Cracker Barrel for breakfast, and get one of their pancake breakfasts, which comes with three buttermilk pancakes, two eggs, and two sausage or bacon. The pancakes have crispy edges. I think they fry them with lots of oil. In fact, I think they might fry them on the same griddle as with all the other food, because my wife's pancakes showed bits of burnt bacon. To a junk foodie, that only makes the pancakes better. 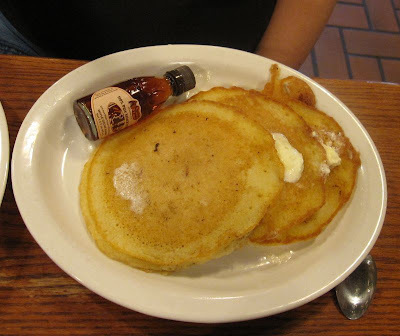 I've had pancakes at IHOP, and Denny's, and even at The Original Pancake House, and I'm sorry, but Cracker Barrel beats them out. 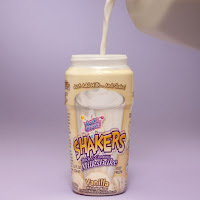 Visit Cracker Barrel online for locations..
MolliCoolz, a brand of frozen beaded ice cream, has a product line called "Shakers". 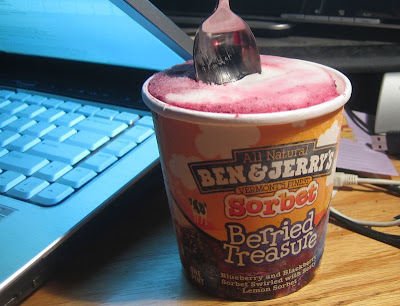 It's found in the freezer aisle of grocery stores. It's a cup filled with their pelletized ice cream beads. You pour milk into it, and then shake. You end up with a colorful, flavorful, milkshake. Shakers are currently available in four flavors, vanilla, chocolate, strawberry, and cookies n cream. You can find them in most grocery store chains, as well as Wal-mark Supercenters, priced around $2.00 per cup. Fazoli's, the chain of fast-food italian fare, is introducing a new menu to better compete against the on-slaught of burger and mexican food joints. 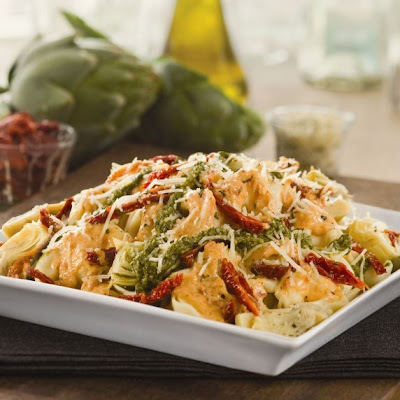 Tortellini & Sun-Dried Tomato Rustico, pictured below, is made fresh with sun-dried tomato sauce, artichoke hearts and sun-dried tomatoes, topped with a basil pesto drizzle. They also have a new Chicken Piccata, described as linguini with creamy marinara, sliced grilled chicken, capers, broccoli and a lemon wedge. The new entrees start are priced at $5.49, and come with Fazoli's signature unlimited breadsticks. Also in the new line up is their Fire-Roasted Red Pepper Chicken Submarinos, their Cranberry & Walnut Chicken Salad, and new dessert items, Chocolate Chip Cannolis, and Choco-Lato Mousse. To encourage fast-foodies to try its new menu, Fazoli's is offering some money-saving deals at a special website, http://www.freespaghetti.com. Carl's Jr. announced today that it's bringing back the Portobello Mushroom Six Dollar Burger, permanently starting right now. 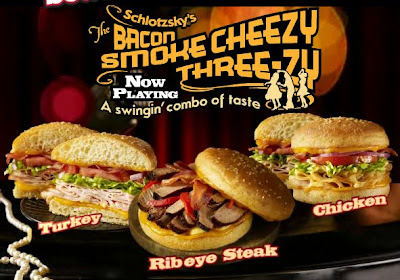 The fan-favorite burger was originally introduced in 2005 for a limited time, and then again in 2007. The burger is just a standard Six Dollar Burger, but with slices of portobello mushroom sauteed in garlic-butter sauce, along with swiss cheese. During its initial appearance on the Carl's Jr. menu in 2005, The Portobello Mushroom Six Dollar Burger won the product award for excellence from Produce Business Magazine, and was among a handful of menu items profiled by USA Today for a trend story on fast-food going gourmet. Carl's Jr. is also offering a coupon for a free Portobello Mushroom Six Dollar Burger with the purchase of a $20 Carl's Jr. gift card. Gift cards can be purchased in restaurants or online at http://www.carlsjr.com/giftcards/. 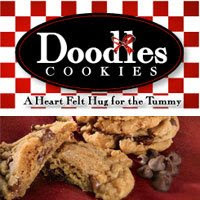 Doodles Cookies is a new brand of cookies focusing on cookie lovers who want to snack on organic ingredients. They're sole offering at this point is an organic chocolate chip cookie mix. However, they're getting set to launch a gluten-free sugar cookie mix next month. "I had been looking for a healthy, good-tasting alternative cookie to make for family and friends. My goal was to make an organic cookie that was healthy and also delicious." The new gluten-free sugar cookie that she's coming out with next month is her entry into growing market of hypoallergenic foods. 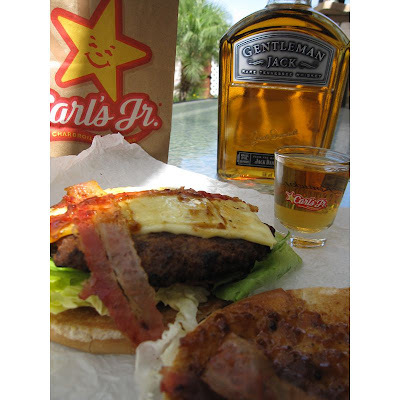 Last March, the Carl's Jr chain of fast food joints introduced their newest burger, the Kentucky Bourbon Burger. They had sent me a coupon for a free burger, and today I finally got around to having one for lunch. 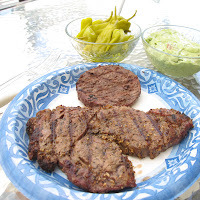 The inspiration for this burger starts with the fact that burger joints today are in a rat race over finding new and usual burger recipes to attract impulse junk foodies like me. But this particular idea for a Kentucky Bourbon comes from all the bourbon and whiskey infused BBQ sauces that many steak houses and rib joints utilize. The burger itself doesn't have any alcohol in it, the company notes that it's "0 proof". Rather, it's just the unique sauce that makes this burger. 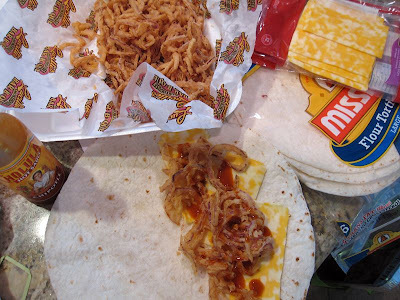 Aside from that, it comes with crispy, seasoned onion straws, a slice of pepperjack cheese, and bacon. The burger comes in three sizes, single ($2.99), double ($3.99), and Six Dollar Burger ($4.89). I got the Six Dollar Burger variety. To sum it up, the sauce is very tasty. It's very sweet, but tangy, and spicy. It does indeed have that "bourbon" flavor, with a caramel character, and that spicy bite that create a light burn on the tongue. But mostly, it's a very sweet sauce. Unfortunately, the Carl's Jr location (Menifee, CA, Newport Rd) that built my burger forgot to add the crispy onion straws. I think that would have really made the burger better. Otherwise, I thought it made a for a tasty burger. I would have been happier with more sauce however. Since that's really what makes this burger, they need to put more, enough so that it runs all down my hands and arms. I'm probably a littled miffed I didn't get the crispy onion straws, but then again I got this burger for free. The coupon said that I would still have to pay sales tax, but the girl working the drive-thru didn't ask me for it. I suppose a rash of mediocre help at fast food joints is what prevents companies like Carl's Jr from gaining more traction with the general populace. They come up with great burger ideas, but have to rely on apathetic teens to put it together. By the way, I didn't have a bottle of Kentucky Bourbon to go with the burger, but I did have a bottle of Tennessee Whiskey. Blue Ribbon Apple Pie Fries, dusted with powdered sugar and served with caramel dipping sauce. Loaded Baked Potato Bites, stuffed with cheddar cheese and bacon. Bob Evans Wildfire(TM) Chicken Quesadilla made with slow-roasted chicken and topped with Wildfire BBQ sauce, onions, green peppers, tomatoes and cheeses. County Fair Cheese Bites, filled with white cheddar cheese and served with marinara sauce. Itsy Bitsy Sandwiches, a trio of signature sandwiches with Bob-B-Q pulled pork, slow-roasted pot roast and Bob Evans sausage. 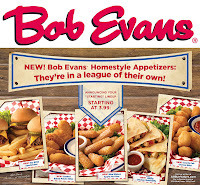 The new appetizers are part of Bob Evans' baseball themed "All Star Line Up" for summer, and the restaurant has launched a media campaign focused around baseball. Appetizers start at $3.99 and will be available chain-wide. The introduction of the appetizers also coincides with the return of Bob-B-Q, made with the restaurant's very own Bob Evans Wildfire Sauce. The Bob-B-Q includes Bob-B-Q Baby Back Ribs, Bob-B-Q Chicken Knife & Fork Sandwich, Bob Evans Wildfire Chicken Salad and Bob-B-Q Oven-Roasted Chicken. The restaurant chain used TasteCasting.com, a service that organizes a group of Internet savvy consumers to review the new menu offerings, and then have them broadcast their thoughts and gather feedback through social media channels like Twitter, Facebook, et al. Bob Evans restaurants have some 569 family restaurants in 18 states east of the Rockies, and also operate 140 Mimi's Cafe restaurants west of the Rockies. 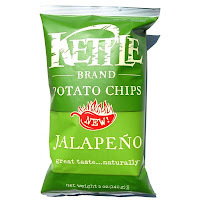 Kettle Brand Potato Chips introduced this new Jalapeno variety earlier this month, timed with Cinco de Mayo. "Kettle Brand Jalapeno Potato Chips strike the perfect balance between fresh, well-rounded flavor and the simple heat of green, spicy jalapeno peppers. A fiery, festive flavor with a Kettle Brand twist, these all natural Jalapeno potato chips are easy to eat with a satisfying heat that sneaks up on you. Paired with an ice cold cerveza, these chips are a delicious fiesta in a bag." The company sent me a sample bag for review. Well, these chips are not exactly hot. And, they're not exactly spicy. They do have a low degree of heat, but it's so low that it only creates a tingle in my mouth. I do eat a lot of spicy foods, so maybe for others these chips could be construed as hot. But they don't have any jalapeno flavor to them. 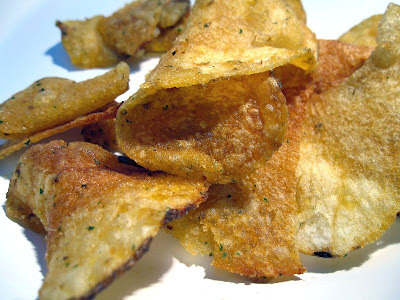 They still have that same crunchy, crispy, thick potato chip goodness that you come to expect from kettle cooked potato chips, and they have that same signature flavor that the Kettle Brand puts into them. It has the split second sweetness off the surface that the Kettle Brand always seems to give you, and it gives off that light potato flavor, and light saltiness. Overall, what I'm getting from these chips is the same flavor of regular Kettle Brand Potato Chips, but with a faint spicy heat. These Jalapeno variety chips are selling in grocery stores all over the USA as of this writing. 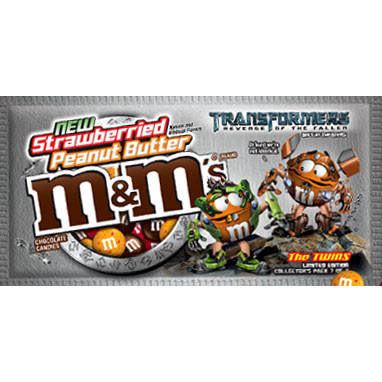 Mars Snackfood US announced today the availability of limited-edition M&M's Strawberried Peanut Butter Chocolate Candies and SNICKERS Nougabot Bar to celebrate the June 24 release of "Transformers: Revenge of the Fallen". The new M&M's are available today, while the movie doesn't debut until June 24. The M&M's Strawberried Peanut Butter Chocolate Candies feature smooth peanut butter and sweet strawberry flavor. The new M&M's are offered in singles (1.4 oz) and medium bags (11.4 oz) and retail for $.79 and $3.49, respectively. In addition to M&M's, Mars' SNICKERS brand is launching a limited-edition SNICKERS NOUGABOT Bar with bright Yellow Nougat and Dark Caramel to resemble the colorings of one of the Transformer characters. 203 year-old Gosling's Rum of Bermuda has joined with 127 year-old Polar Beverages of Massachusetts to create, package and distribute what both are calling the definitive ginger beer soft drink. Gosling's Stormy Ginger Beer, its official name, took well over a year to formulate and perfect. "We needed to hit the perfect balance between sweetness and spiciness," explained Malcolm Gosling, 7th generation President of the renowned rum maker, Gosling's Export (Bermuda) Limited. "Our objective was to create a ginger beer that, when paired with our award winning Black Seal Rum, would produce the absolute perfect Dark 'n Stormy." The Dark 'n Stormy, a drink of ginger beer and Black Seal Rum, is Bermuda's official national cocktail and has become wildly popular in the U.S., though also frequently mis-mixed due to confusion over which ginger beer to use. 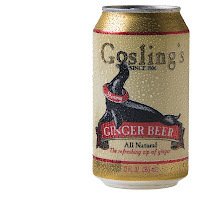 "Gosling's Stormy Ginger Beer is the product we recommend for the ultimate Dark 'n Stormy," Gosling adds. Available in 12-ounce cans to begin with, Gosling's Ginger Beer is a refreshing, zesty soft drink by itself, as well as the perfect mate to Gosling's Black Seal Rum. Gosling's Brothers Ltd. Is Bermuda's oldest business house. In 1806, Englishman William Gosling, sent his son James to sea, bound for Virginia with 10,000 pounds Sterling worth of wines and spirits. After ninety days on becalmed seas the charter on the good ship, Mercury, ran out and James was diverted to Bermuda, where James decided to open a wine and spirits shop. Since 2004, seventh generation, E. Malcolm B. Gosling has been spearheading a major American expansion of the brand. Gosling's offers three distinctive, award-winning products in its line: the flagship brand, Gosling's Bermuda Black Seal Rum; a new Gosling's Gold Bermuda Rum; and the ultra special Family Reserve Old Rum. Amazing Taste is a brand of seasonings that's been in existence since 1977. About a year ago, they sent me samples of all their seasonings, and since then they've been sitting here in my office. Today for mother's day, we grilled up some steaks, and I finally remembered to try this stuff out. They have some 20+ different seasoning blends, and I chose to try the "Steak House" blend. 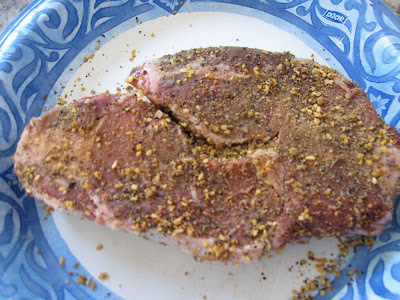 I took a rib eye steak, and poured the seasoning over it, and then rubbed it in with my fingers. I turned it over, and rubbed some more, until the steak was covered in the stuff. Then I let it sit for about 15 minutes before grilling. We'll, it's pretty darn good! Very peppery, very spicy. Just like what you might expect from a steak house. But then again, it's hard for me judge steak seasoning blends. 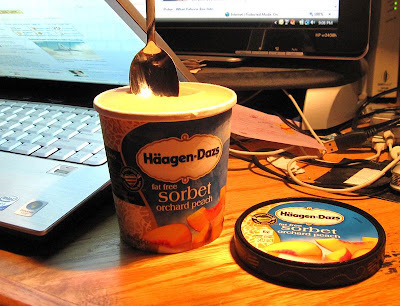 Much of the brands still taste very similar to each other. The 1oz packets that sell for $0.99 each creates some additional convenience in that you won't be left with a shaker bottle to put back into the spice rack, you just toss the packet away. And if you don't like the taste of this stuff, you won't be left a bottle of seasonings you don't like. On a side note, I also bought a package of Moran's frozen sirloin burger patties, and found a packet of Amazing Taste burger seasoning in the bottom.